Should commercial vans be regulated in the same way as larger vehicles above 3.5 tonnes? It’s a debate that’s boiling over within the fleet industry right now, where there’s a split between those who believe self-regulation is the way forward and those who think government regulation is the only way to ensure van fleets adhere to best practice. Van safety is a priority for fleet managers. But what kind of technology will be introduced to vehicles in the future, to increase driver safety and fleet efficiency? Find out in our latest post. 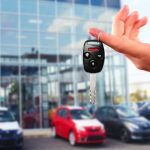 Whether you’re looking at replacing old vehicles in your fleet or expanding your business, the question as to whether to buy or lease your vehicles is always present and there are many factors when deciding which route to follow. We take a look at some of the issues at hand.